What is Tungsten Fake Gold Made From? For anyone who has ever handled Gold the first thing you will notice is how incredibly heavy it is compared to anything else. In fact Gold is 19.32 times heavier than water making it incredibly hard to imitate. Many more common metals for instance steel or lead are much lighter. In fact Lead is one of the few commonly found metals which is similar in weight and tungsten fake gold has a density of 11.35 g/cm3. So a 1 kg Lead bar would be more than 70% larger in size, making products very easily distinguishable. There are more dense metals than Gold for instance Platinum which has a density of 21.45 g/cm3. If anyone tries to sell you Gold plated Platinum as Gold I'd buy it! Platinum is currently $300 per oz more expensive than Gold. This only leaves one element, Tungsten! You will often see Tungsten written as Wolfram. Wolfram is the name of the ore from which Tungsten is extracted and the chemical symbol for Tungsten is W. Tungsten alloy has a specific gravity of 19.25 so it is only 3.6% different to Gold. Owning to its excellent properties of tungsten such as high density with small volume, high melting point, excellent hardness, superior wearing resistance, high ultimate tensile strength, high ductility, tungsten fake gold product always be used such as darts, golf club, fishing weight, ballast in yacht, racing car, and aircraft; Also because of its properties like high temperature resistance, low vapor pressure, nuisance free, non-toxic and environmental friendly, good corrosion resistance, wonderful shock resistance, the products can also used as heat sinks, crankshaft, counterweight in oil drill, mine exploitation and so on. As you can see, the products have many applications; it is just one of main field. Chinatungsten Online is studying and researching the products and tungsten area for more than 20 years, and now have gained a great number customers home and abroad. All our products are for the convenience for human being's better life and suitable for the world sound development. 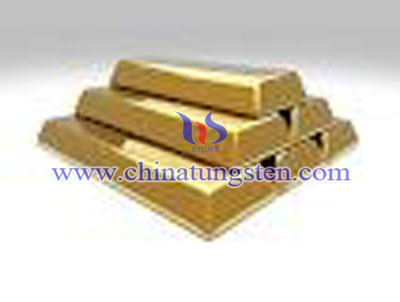 Notice: Chinatungsten Online (Xiamen) Manu.&Sales Corp. is a very professional and serious company, specializing in manufacturing and selling tungsten fake gold and other products for more than two decades. We can also provide tungsten alloy fake gold products as your requirements. Our product is only for souvenir and decoration purpose. Here we declare: Please do not use our products for any illegal purpose.